After a lengthy six year absence since they last released music, Swedish hypnotic desert rockers ARMADILLO have resurfaced, and brought new tunes along with them. A new two-song single, “Her Touch“, has arrived and includes the second track, “Nothing Fancy“, as its B-side. The long-awaited return of ARMADILLO is here, along with the band’s official video for “Her Touch“. Formed sometime between 2009 and 2010, the members of ARMADILLO were heavily influenced by the music and bands of the early desert rock scene. Centering their songs around high energy guitars and a tightly knit rhythm section, ARMADILLO topped things off with solid vocals and clever lyrical content. Yet, as many bands undergo or experience, ARMADILLO went through a handful of lineup, image, and music changes during their early years. In 2013, the band decided to take a short break, but as things sometimes happen, it eventually turned into a lengthy hiatus. Then, in 2017, after years out of the limelight, Linus Lundström, Christoffer Abrahamsson, and Dennis Boije Mårtensson were collectively feeling the itch and began talking about resurrecting ARMADILLO. Here we are in 2019, where ARMADILLO are indeed active and back with a vengeance, as their newest music possesses a heavier edge to it compared to past output. The guys have clearly not lost their melodic touch as their latest audio artistry draws influence from acts like Queens Of The Stone Age, Eagles Of Death Metal, and House Of Broken Promises. Let’s hope that ARMADILLO are not just back, but back and determined to stay! 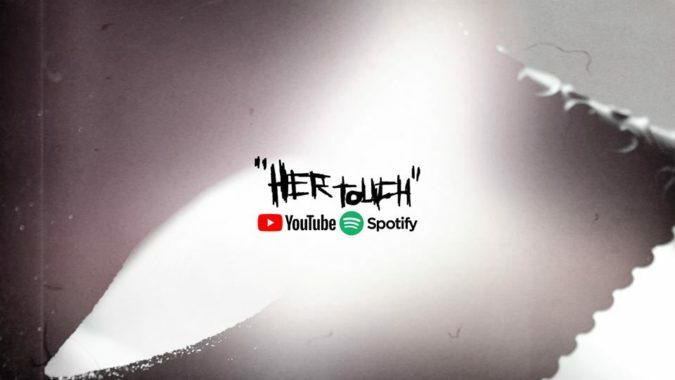 Check out the video for “Her Touch” below, along with the stream of both new songs via Spotify. “Her Touch” was produced by the band and Johan Arveli, who also handled recording and mixing duties, with mastering done by Daniel Mikaelsson of 4916 Mastering.